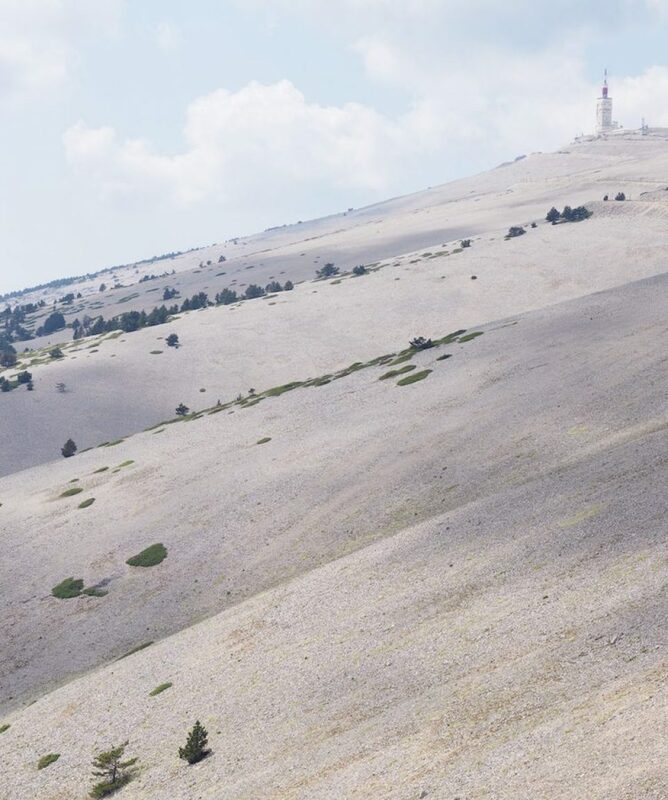 The Velusso Ventoux cycling holiday is a pilgrimage to one of the sport’s most iconic climbs: ‘The Giant of Provence’, Mont Ventoux. A weekend and some hard graft are all that’s required to conquer it, and that’s exactly what this trip provides. Very few climbs are as well-known and romanticised as the legendary Mont Ventoux. An icon of the Tour de France since its first inclusion in 1958, the ‘Giant of Provence’, as it has come to be known, is a climb on the bucket list of any keen road cyclist. The barren, windswept mountain stands alone in the lavender fields and vineyards of surrounding Provence; it’s imposing, 1,912m stature providing a challenge that no rider can ignore. We tackle two sides of the Giant over the weekend, including a pass of the memorial to legendary British rider Tom Simpson on the way up from Bedoin. Ride leader in attendance for duration. Easy access to country roads from hotel. The maximum size group for this holiday is 7 riders. Arrival at the hotel late afternoon. Meet and greet with ride guide. Bike set-up and a short ride if possible. A full day ride – conquering Ventoux from the Bedoin side. 97 km / 2734 m.
A morning ride, conquering Ventoux from the Malaucene side. 57 km / 1819 m.
This trip is based in the charming B&B Le Pont de l’Orme in Malaucene. The rooms are spacious and comfortable, offering you the rest and relaxation after a long day in the saddle. Guests can enjoy dinner in the highly regarded restaurant combining traditional Provencal cuisine with an innovative touch, or walk a very short distance to the restaurants in Malaucene.